UPDATE 10/21/08: There will be no criminal charges after a baby girl was violently killed by two family pit bulls. District Attorney David Roger said his office couldn't find that the family members of the child had intentionally placed her in harm's way. "There were no significant prior actions of the dogs that would suggest that these dogs would be dangerous to human beings," Rogers said. 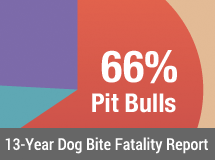 Despite the well-documented fact that pit bulls routinely unpredictably attack and kill people. "No authority had ever declared these animals vicious," Roger said. "There were no significant prior actions of the dogs that would suggest that these dogs would be dangerous to human beings." 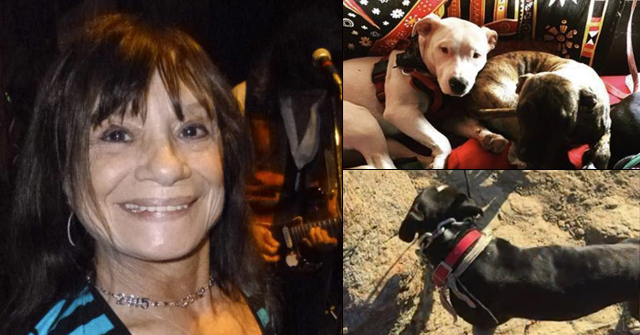 Chief Joseph Forti told the Las Vegas Review-Journal the dogs were in the backyard of the home near Cheyenne Avenue before the attack. The pit bulls entered the home -- possibly by bursting through a screen door -- Forti said, and began attacking the baby as she lay in her stroller. "They just went right for the little girl," he said. The grandmother took the baby and escaped into a room. When she tried to close the door, one of the pit bulls forced its way in and the other followed. The pit bulls then started to viciously attack the little girl again, reports the Review-Journal. At that point, the grandmother called 911. When officers arrived, they found the baby girl laying on the bedroom floor. She was dead from her injuries. Forti said he was told by police officers the little girl suffered "very severe bite and head wounds." The attack was so horrific that all officers and medical personnel who responded to the scene are being offered counseling services, Forti said. 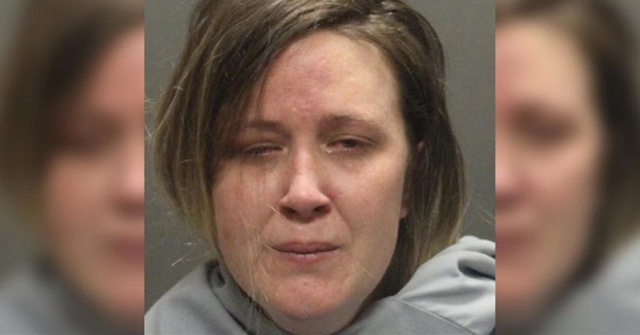 The 4-month-old girl mauled to death by two pit bulls Friday has been identified as Cendi Kia Carey of Las Vegas, the Clark County coroner's office said today. Officers found the infant laying on a bedroom floor. Paramedics pronounced the baby dead from the attack, police said. Las Vegas, NV - A 4-month old girl was mauled to death by her family's two pit bulls. Capt. Cedric Williams of the North Las Vegas Fire Department said the grandmother, who was babysitting the child, was also injured when she tried to save her. "Somehow the dogs got inside the house," he said. He added that the pit bulls "were the family pets." Williams said that when police arrived to the home in the 1700 block of Eagle View Drive, they were forced to shoot both pit bulls. Dispatcher: "What is your address? Where are you at? Is she conscious at all?" Grandmother: "No, she is dead." Dispatcher: "Can you put him outside or something where he is not going to hurt anybody else? Grandmother: "No, he has bitten my hands." Grandmother: "He has bitten on my hands and my arms." Dispatcher: "You are all bit up too?" Grandmother: "He is running around the living room with the other one. There are two of them. I can hear sirens, would that be them?" Ungh…RIP Little one. 47th American killed by Pit Bull since January 2006. The “Nanny Dog” strikes again! Last month at least 46 dogs were shot, many, like these two were killed. I wonder how many dogs are on the verge of killing someone. It just doesn’t make sense that this is allowed to continue. In the past 30 days pits have killed five. Yet the media seems to be AWOL. 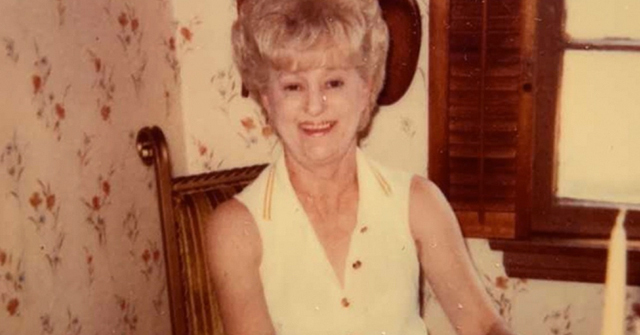 The grandmother’s 911 call is like a nightmare. I went to the website for the Las Vegas newspaper. The comments from all the pitbull apologists turn my stomach. They have their heads in the sand. They always claim it is the owner’s not the dogs. They completely ignore the centuries of breeding to make these dogs ruthless killers. It is in their genes. Siamese cats — they all have a rather distinct meow. It is in their genes and you can’t blame the owner for their cat’s annoying meow. I told my husband I want to get a permit to carry a gun in my car so I can be ready to kill one of those killer dogs if need be. I also want to carry a billy club, and keep one by the front door. Maybe an axe would be better. The way these pits seem to be rampaging all over, you just never know. I don’t want to feel helpless if I see someone being attacked. The only way to stop these killers when they have their jaws locked on is to kill them, it seems. I feel so sorry for the family, yet I wonder if at sometime one of them said how sweet and loving their dogs are. Whenever someone says that, and how their pit just loves their kids, I wonder if they will be the next to mourn a loved one. I feel equally sorry for the rescue team that has to get counseling to deal with the horrific way that poor baby was murdered. God help our society. It seems a no-brainer that these dogs should be outlawed, not just muzzled, not just locked in a pen, not just sterilized, or insured for liability. Good God! Someone asked the question once — on these boards — what in the hell must be going through the mind of a pit bull owner as the dog seriously attacks his or her child? It’s a heart stopper for sure. “I didn’t know…” ain’t going to make the heart starting beating again either. For the rest of the person’s life, the guilt will gnaw at their core. TO Heartsick, I have a pitchfork beside my front door. I’ve sharpened the tines, not needle sharp but pretty good. Their about $25 and they have a long handle so I don’t have to wait until the dog is right on me. Full grown men have tryed to stop these dogs with a baseball bat and failed. Be very careful, once these dogs are riled you will have a very dangerous situation on your hands. A shot gun is the best, even the police have figured this out. To David: Thanks for the tip. You make a good point about the long handle. Best not to get close! I am amazed at the ignorance of so many as to how the pit bull breed got to be so vicious. Just yesterday, a co-worker blamed it on recent breeding practices by drug dealers and on puppy mills. As evidence, he said that when he was a child, his landlord had the sweetest dog in the world – a pit bull. I asked him if he knew how they got the name “Pit Bull.” He did not. Maybe after he does some research he will see the light. “In the past 30 days pits have killed five. Yet the media seems to be AWOL.” I agree with anonymous on this one. If only national media would report all these attacks. All of them, not just the ones that end in death.